If you experience a dental emergency, you may be stressed about finding dental care quickly. However, finding a 24-hour emergency dentist in Corona, California doesn’t have to be difficult. Emergency Dentists USA is here to help you find the care you need. Our 24-hour phone service has representatives dedicated to helping you find care as soon as possible. I called the 24-hour Emergency Dentists USA hotline when I had an intense toothache. They were helpful and friendly and I was able to see an emergency dentist over the weekend! We can help you find the care you need for your dental emergency. To make your search easier we’ve compiled a list of dental clinics available to provide emergency dental care. Description Call our hotline and we’ll help you find a dentist near you fast! Description: With a variety of dental services available for various ages and various insurances accepted, the staff here is committed to helping you look and feel your best when it comes to your dental needs. Description: This family owned and operated office offers appointments on Saturday for weekend dental care. Description: Brightman Dental offers affordable dental care and has extended hours throughout the week. An emergency dental clinic in Corona, CA is similar to a traditional dental clinic and provides similar services such as cleanings, x-rays, and fillings. When you schedule your appointment, talk to a staff member to confirm that they can accept your payment method and dental insurance. If you don’t have dental insurance, ask about any payment plans that the dental office may have available. Before you head to your appointment, be sure to gather recent dental records as they will help your dentist determine the best treatment for your dental emergency. It’s also a good idea to arrive at your appointment 15 minutes early to fill out any paperwork that’s needed. If you have any fear or anxiety about visiting the dentist, let the dental staff know as they will want to accommodate you so you’re comfortable throughout your visit. Dental emergencies are common and any dental clinic recommended by Emergency Dentists USA will be equipped to treat an emergency you may be experiencing. Common dental issues include toothaches, chipped teeth, knocked out teeth, and abscesses. We’re going to talk through a few common emergencies and how you can help yourself through the pain until your dental emergency appointment. 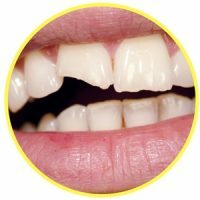 Chipped teeth happen frequently and can easily be fixed. If you’ve chipped your tooth, rinse your mouth to remove any pieces that may still be in your mouth. If you can locate the broken pieces, put them in a small container of milk to bring to your emergency dentist. If there is any swelling or pain, use a cold compress on the outside of your mouth to reduce it. Losing an adult tooth can be alarming, but it can be fixed easily by taking the appropriate measures. Try to locate the lost tooth and rinse it with water, but be sure to only hold the tooth by the crown. If you pick it up by the root, you may cause damage making it irreplaceable. Then, place the tooth in a container of milk. If there is no damage to your tooth your dentist will be able to replace it much easier. 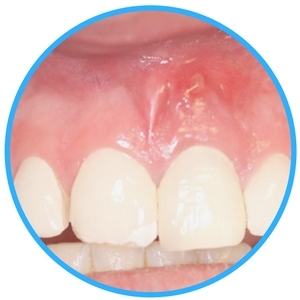 An abscessed tooth is an infection that occurs in the soft tissue of your gums. If it is left untreated, it can spread to your jaw and become more severe very quickly. If you notice any pimple-like bumps in your mouth, you need to head to an emergency dentist right away. 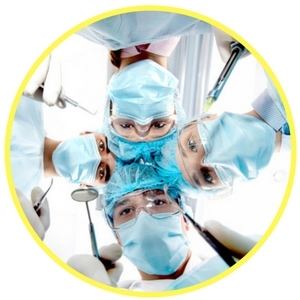 In certain situations, your dentist may decide you need an emergency tooth extraction. 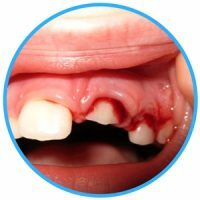 This may be because of an infected or decayed tooth that has progressed to the point where it can no longer be repaired. If this is the case, your dentist will take an x-ray of the tooth and examine it to determine the best way to extract it. They will then numb the area and use special dental tools to remove the tooth from the gum. It takes about two weeks to fully heal from an emergency tooth extraction. It is important to follow any instructions given by your dentist for an easy recovery. It’s important to know when you should visit the emergency room versus an emergency dentist. If you’ve endured any type of head trauma, you need to visit the emergency room as an ER doctor will be able to help you best. If your injuries are in your mouth, however, an emergency dentist will be the best option for treatment. There are many options for emergency dentists in Corona. When scheduling your appointment, visit the American Dental Association’s website at http://www.ada.org/en to confirm that the dentist your seeing is licensed and certified in your area. You can also visit the California Dental Association at https://www.cda.org/ where you can search for local, California dentists and learn more about dental care in Corona. And remember, Emergency Dentists USA is available 24/7 and is dedicated to helping you find the emergency dental care you need quickly and conveniently.